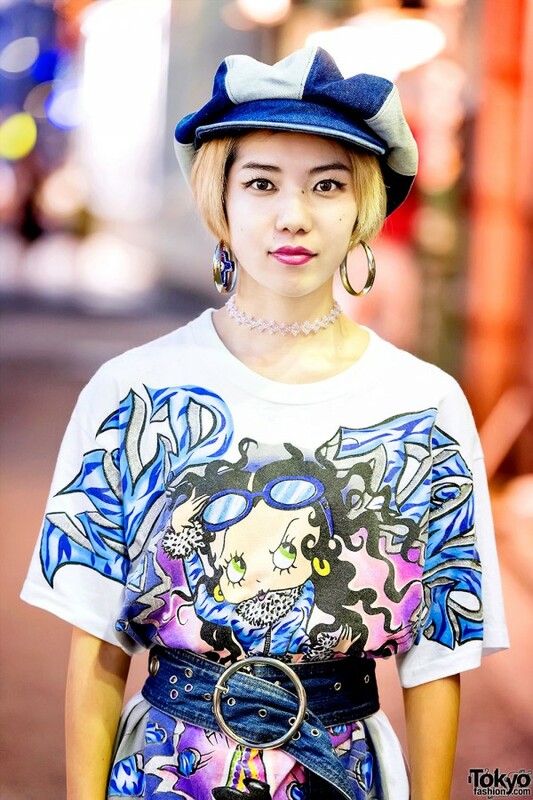 Mari is a staffer at Dog Harajuku, one of the most famous and influential boutiques in all of Asia. 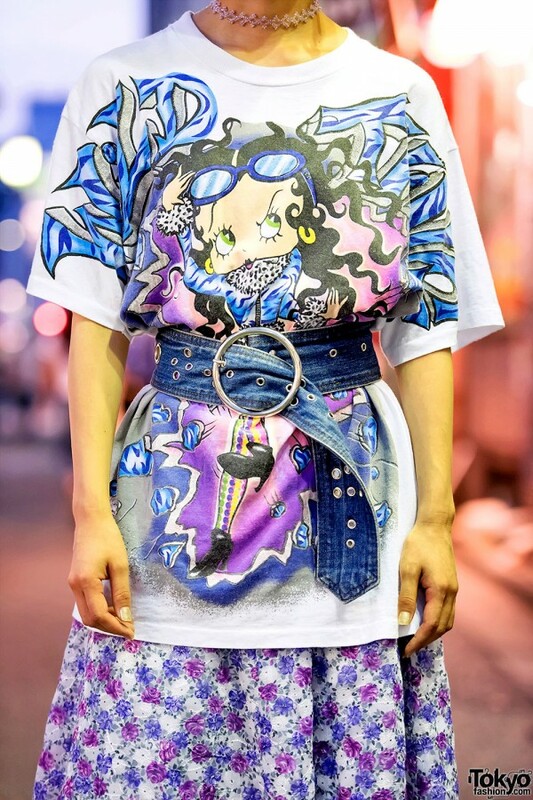 Her look here features a belted oversized Betty Boop t-shirt from Chicago Harajuku (resale shop) with a floral skirt (also from Chicago Harajuku) worn over resale wide leg denim pants and sandals. 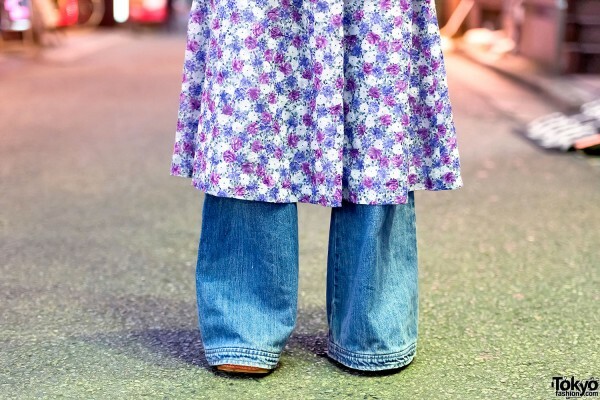 Accessories include a denim hat, hoop earrings, and a choker. 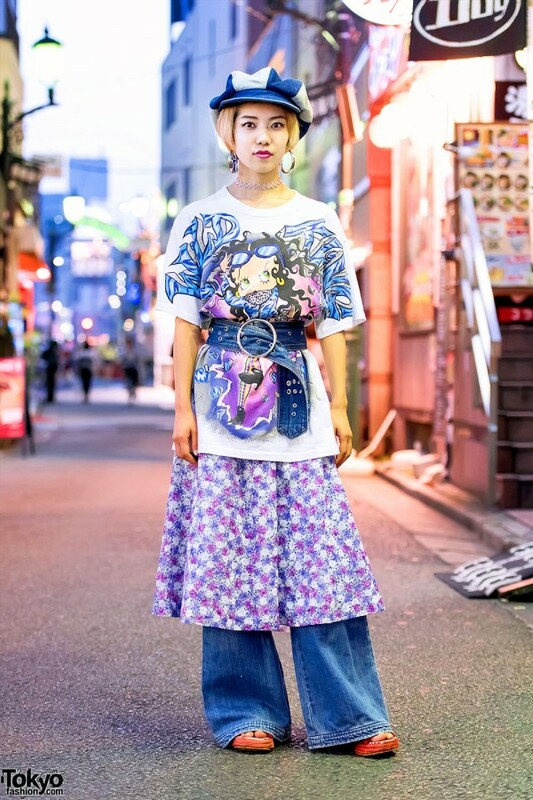 If you’re ever in Harajuku, you can stop by and say hello to Mari at Dog Harajuku. 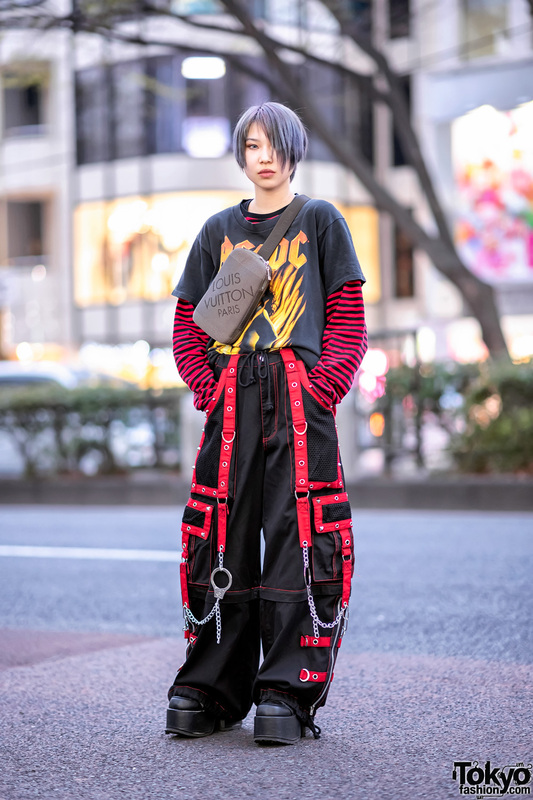 You can also follow her on Instagram and Twitter.